Note the multinodular peripupillary pigmented tumor which slightly deforms the iris. A 32 year old male presented with “two pupils” in his left eye. He had been noted to have had multiple episodes of blurred vision and discomfort from his left eye. Digital photography with gonioscopy was obtained. His intraocular pressure was elevated to 32 mm Hg OS and gonioscopy revealed pigment dispersion for 360 degrees. As demonstrated below, high frequency ultrasound was performed. Pigment dispersion is seen on gonioscopy. This patient’s primary problem is his glaucoma as the rate of metastasis in iris melanomas has been found to be low (1-5%). This particular tumor demonstrates two reasons why the risk of metastasis is low in these cases. First, it is small (largest diameter = 2.3 mm). Second, the tumor is far from the ciliary body and other routes of tumor dissemination. Risk factors for metastasis in iris melanoma include: large tumor size, ciliary body invasion, pigment dispersion, secondary glaucoma and extraocular extension of tumor. In this case his glaucoma has been controlled with topical medication. Eventually he may require laser trabeculoplasty or cyclophotocoagulation. I do not recommend filtering surgery in these patients. Though not proven as a risk factor, filtering surgery clearly allows egress of melanoma cells into the orbit (as does extraocular extension). Longitudinal view demonstrates a club-shaped tumor with focal destruction of the iris pigment epithelium. Normal appearing iris is seen at its posterior margin. A transverse view demonstrates the tumor`s width and focal destruction of the iris pigment epithelium at its deep margin. A transcorneal surgical iridectomy or FIT should be considered. It would remove the tumor, the source of pigment/cells, and the cause of the glaucoma. There has been considerable controversy as to whether suspicious iris melanotic lesions should be removed. Without secondary glaucoma resectable iris melanomas are typically watched for evidence of growth prior to resection. In this case, he already has a visual field defect and his tumor is the source of his pigmentary glaucoma (a risk factor). Search PubMed for Iris Melanoma or Iris Melanocytoma? 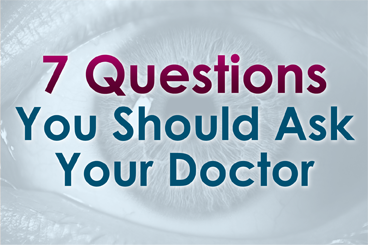 Search Google for Iris Melanoma or Iris Melanocytoma?